Renting a car is an excellent way to travel without using your own vehicle. This is especially true if you’re going on a long trip and don’t want to put the miles on your own car. It’s also useful if you travel by air and need a car once you land. Although car accidents are just as likely to happen in rental cars, how the accident is handled may be different. Here’s what you should know. The first step to take after being in a rental car accident is the same as if you were in an accident in your own car. Call 911 and get medical assistance for yourself and anyone else who was hurt in the crash. If no one is hurt, make a call to the police to report the crash. Once everyone is safe and being taken care of, your next step is to contact your rental car company. Most rental car companies have paperwork in the glove compartment with a number to call if you’re in a wreck. It’s actually a good idea to locate this information before driving your rental car, if possible. Let the company know what happened and ask them what their policies are on how you should proceed. Typically, your own vehicle insurance will apply to the rental car you are driving. This means you will have the same coverage on the rental vehicle as you would your own. If you have liability only insurance on your own vehicle, you may have been required to take out additional insurance while you used the rental car. File a claim with your insurance company as if you were doing so with your own car. 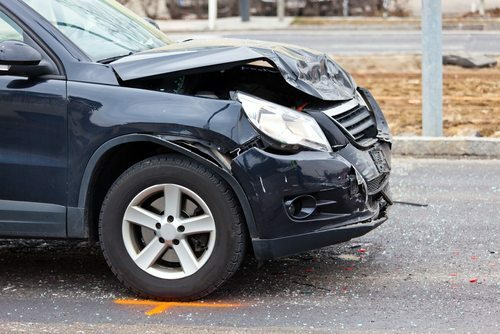 If your accident was caused by the negligence of another driver, you shouldn’t be held responsible for damages to the rental car or any injuries sustained in the accident. At Appalachian Injury Law, we can help you navigate the complicated process of filing a personal injury claim after a rental car accident. Contact us today for a consultation to learn more about your rights after a rental car crash. Call (706) 515-1995 or toll free at (800) 393-8595.